Forthwith, I present the March 2016 wine product roundup, this time on time, but only juuuuust! This month, I’ve got two items from the sample pool to present, one of them a bit of a miss, the other potentially a hit (in both the it-totally-works and the painful-punch-to-the-gut senses of the word, which will make more sense in a minute or two). In terms of the near-miss, we have Sponti’s Catalyst Ultimate Wine Server, which as far as I can discern is not yet available for purchase. 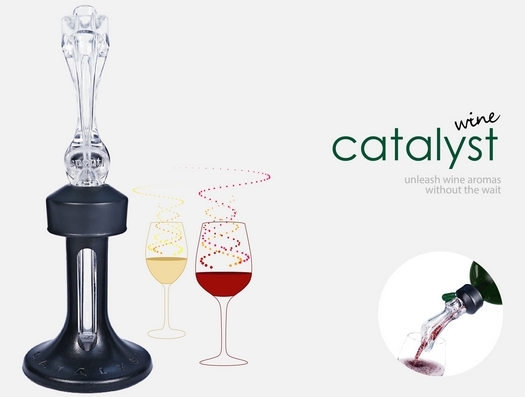 The idea behind the Catalyst is a combination of wine pourer and aerator, only the aeration is adjustable thanks to a nifty little dial on the back of the pourer. 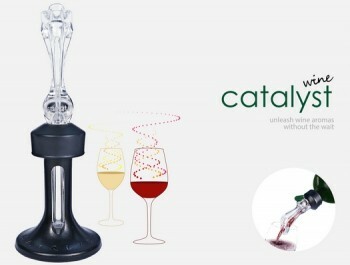 As a pourer, the Catalyst works as well as any similar in-bottle-pourer, minimizing post-pouring-action dripping. As an aerator, I get decidedly mixed results from the thing. The adjustment of the dial is easy, but I had two issues with that: 1) the lower settings seemed to do very little in terms of actually impacting the aromas and flavors of the wines on which I tried it, and 2) it’s easy to go a bit wild and end up turning the dial so far that you loosen it entirely (adding a simple plastic notch in the design might prevent this, but might complicate cleaning the unit if it prevented the dial from being removed). It’s easy to clean, but its plastic design also feels a bit on the cheap side. I’d have to wait and see the final price, but generally speaking I think more works needs to be done to tweak this item. 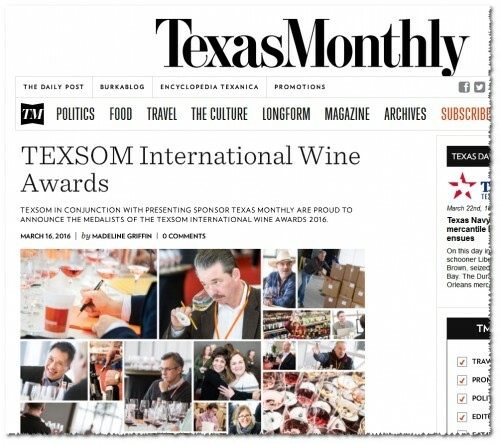 Ahhh, Dallas, where the rain is big, the convention center is even bigger, and the wine competitions are downright huuuuuuge. 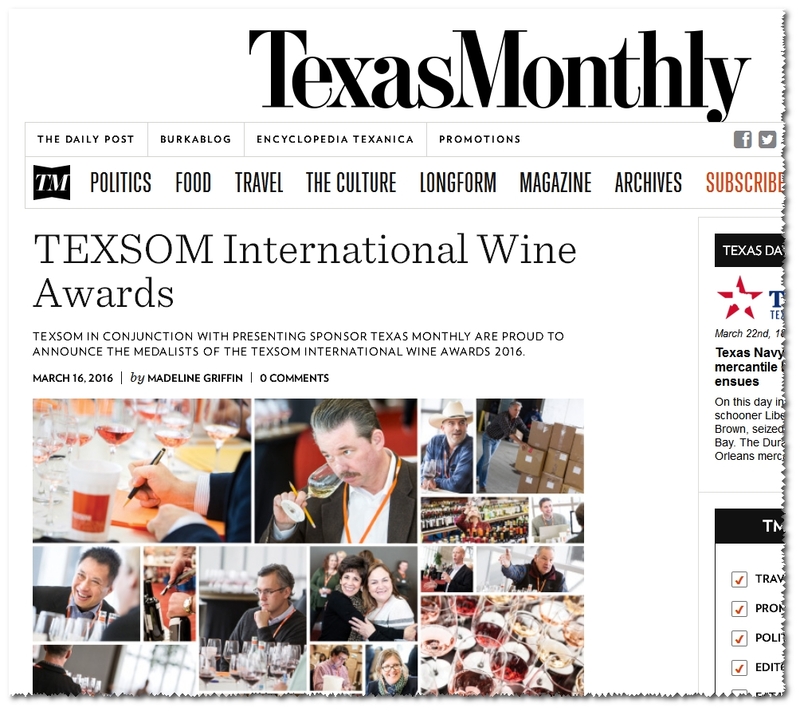 I had such a splendid time judging alongside the consummate professionals at the 2016 TexSom International Wine Awards that I didn’t even mind that Dallas is totally dirty with Cowboys fans (Go Steelers!). Hell, I even had a date while I was in town (because, well, we are talking about my crazy life here). 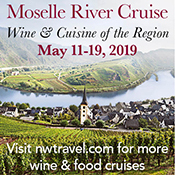 A quick update today to let you know that my inaugural wine piece for online food, drink, and travel juggernaut Thrillist.com (seriously, their numbers are sick) is now available. 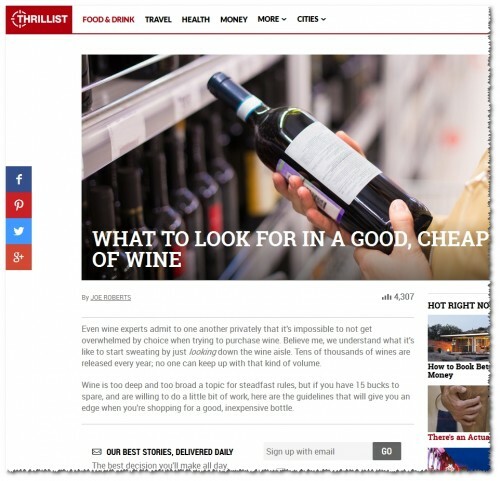 The article is a quick run-through of what to look out for when hunting down a good, inexpensive ($15-and-under) bottle of wine, and is geared towards the non-currently-geeky-over-it-but-hopefully-could-be-geeky-about-it-one-day drinking populace. It’s by no means exhaustive, but it should give a fair number of shoppers an entertaining place to start. I’m excited about working with Thrillist, and hoping to have more content appearing their in the coming months. In the meantime, go ahead an pick my first piece for them apart (just drink something good while doing so, okay? ).